What is Borlotti (Cranberry) Bean? 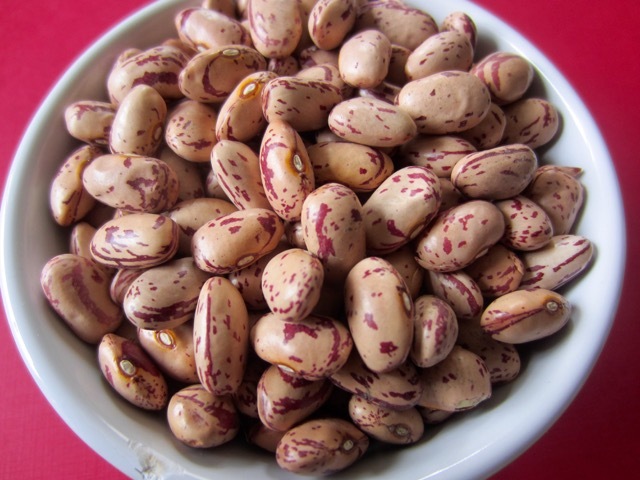 Americans call them Cranberry Beans, Italians, Borlotti or Saluggia bean, Canadians, Romano and in Africa they are called Rosecoco beans. Borlotti bean is a cultivar of the common bean Phaseolus vulgaris. 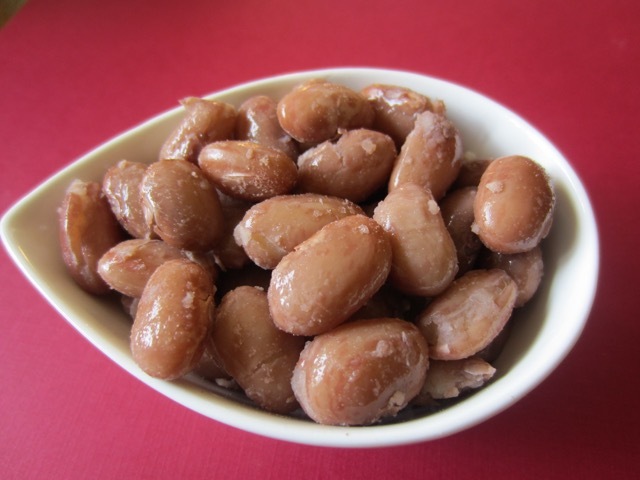 The beans are plump, medium to large and oval shaped. They are pinkish to brown in colour with reddish brown streaks. The shades may vary but they always have the reddish-brown to maroon streaks. They have smooth moist and creamy texture with a mildly sweet flavour that has been compared to chestnuts. They are firm, hold their shape well, and are great for soups, salads, stews and other Italian favorites like Pasta Fagioli. 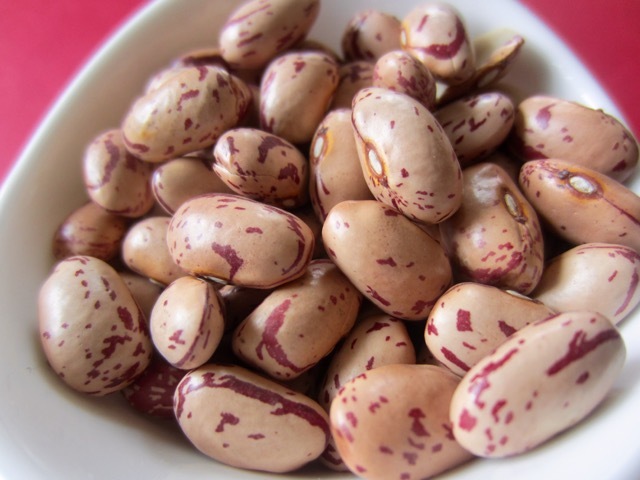 They are marketed fresh in their pods or mature and dried, or canned.The fresh beans are easy to shell, don’t need presoaking and cook in under an hour. Borlotti beans have been grown in Saluggia, northern Italy since the 1900s and widely used in Italian cooking. They are also widely used in East Africa where they are called Rosecoco. Soaked beans should cook between 45-60 minutes. I cooked mine for 50 minutes and they were falling apart. They are mildly sweet and pleasant to eat. I am snacking on them right now!!!! Prev What is gluten flour (Vital Wheat Gluten)?